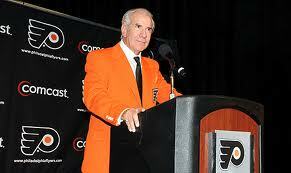 This page is dedicated to the people that make Philadelphia Flyers hockey stand out as the great entity that it is. They make watching, reflecting on, and listening to Flyers Hockey fun. Bobby Clarke - All great success is led by fierce leadership. 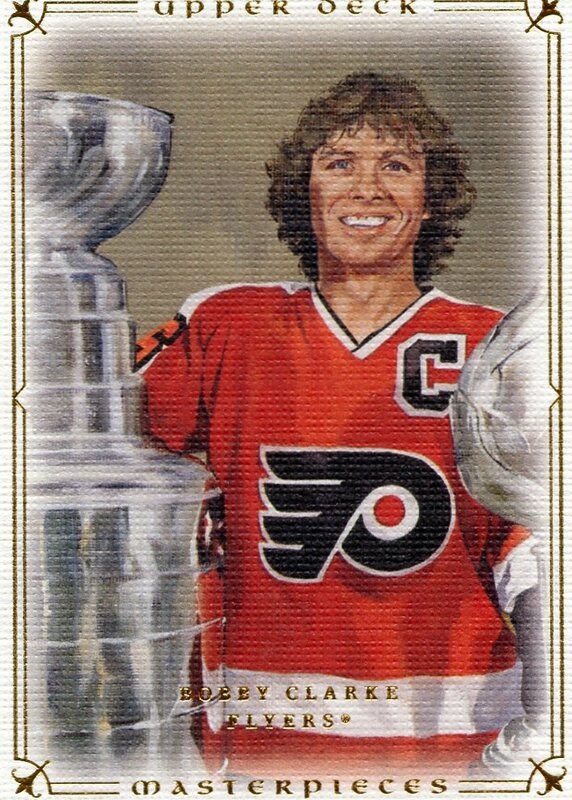 Without Bobby Clarke, there is no Stanley Cup championships. His work ethic and drive brought the Flyers to the top of the hockey world, and now keeps us in the hunt to win the Stanley Cup every year. He will always be the greatest Flyer. 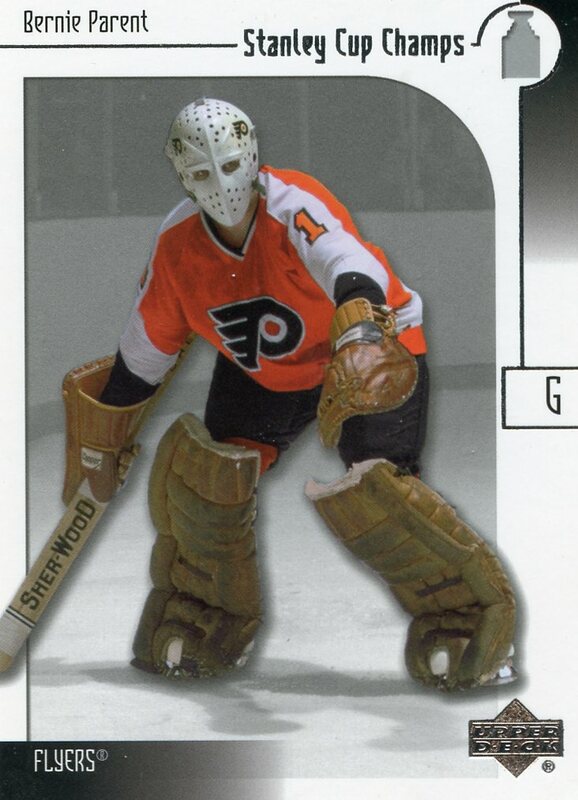 Bernie Parent - Bernie was the wall that the Flyers played in front of. His knack for making big save after big save gave the Flyers the confidence to play as champions. Like most champions, an incredible team player. Cementing his status as a favorite son of Philadelphia, he lives in the area and is available to everyone. Bernie, Bernie! Gene Hart - The voice of the Flyers. A wonderful human being and a great announcer. On radio his voice always painted the picture perfectly. It was like a favorite grandparent reading you stories. 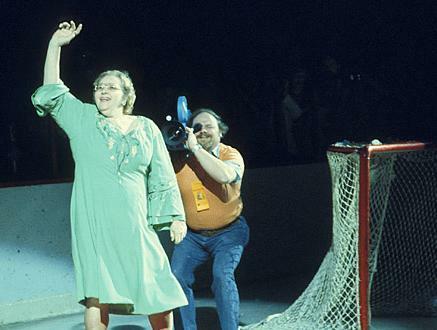 He was the one to tell us "The Flyers win the Stanley Cup"
Kate Smith - One of the most recognizeable images in Flyers history. She brought everybody alive. Call it an anthem, call it a battle cry, Kate set the mood that let every opponent know, this ain't no home game. What Flyers fan doesn't hear "God Bless America", then turn to the closest person and scream "Let's Go Flyers!"? 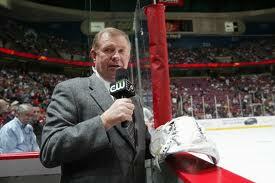 Steve Coates - Mostly a minor league player, best known among Flyers fans for his almost 12 years of Coatesy's corner. 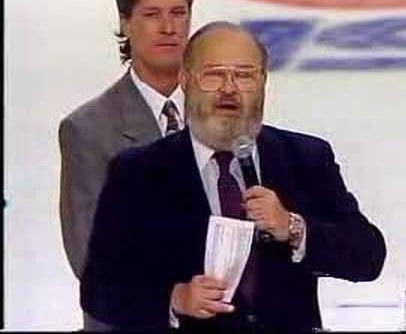 During the intermission on television broadcast Steve would explain rules, interview guests and perform skits with players and coaches. His comic demeanor and excited explanations livens up every game. Ed Snider - I don't know how you can assess Mr. Snider in a paragraph. I have always appreciated his determination to win more Stanley cups. He has aggressively tried to sign players he felt would improve the organization, never fearing reprisal from his NHL counterparts. Though he did not sign them, he threw the kitchen sink trying to sign players like Ryan Kesler and Shea Weber. In the pre-cap era he got Jeremy Roenick and Peter Forsberg to play for the Flyers. He has established several charities, most notably the Snider Youth Hockey Foundation. He always speaks his mind, criticising his own teams performance, referees, and other teams views of the Flyers. His presence and drive keep the Flyers competitive. Freddy "The Fog" Shero - Coached the Flyers to their 2 Stanley Cup wins. Recently elected to the NHL Hall of Fame as a "Builder". His many innovations to his team, became mainstay techniques and strategies that are used today. 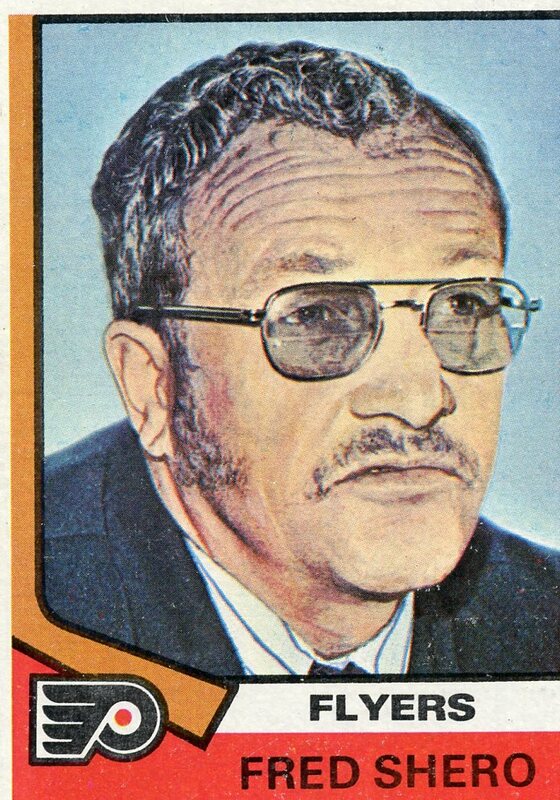 He was the first NHL coach to use a full time assistant coach, and the first to use "systems". His mysterious and philosophical way he carried himself earned him the nick-name of "The Fog". There is tons written about him, and I often wondered what a night of drinking with him and Roger Nielsen (former Flyers coach) would be like.